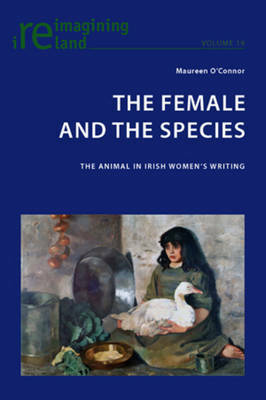 Describing the Irish as `female' and `bestial' is a practice dating back to the twelfth century, while for women, inside and outside of Ireland, their association with children, animals and other `savages' has had a long history. A link among systems of oppression has been asserted in recent decades by some feminists, but linking women's rights with animal advocacy can be controversial. This strategy responds to the fact that women's inferiority has been alleged and justified by appropriating them to nature, an appropriation that colonialism has also practiced on its racial and cultural others. Nineteenth-century feminists braved such associations, for instance, often asserting vegetarianism as a form of rebellion against the dominant culture. Vegetarianism and animal advocacy have uniquely Irish implications. This study examines a tradition of Irish women writers deploying the `natural' as a gesture of resistance to paternalist regulation of female energies and as a self-consciously elaborated stage for the performance of Irish identity. They call into question the violent dislocations and disavowals required by figurative practices, particularly when utilizing Irish topography, an already `unnatural' cultural construct shaped by conflict and suffering.